If you think you’ve created an account with your email address you can request a password reset by visiting www.flowvpn.com/client and clicking ‘lost password’. 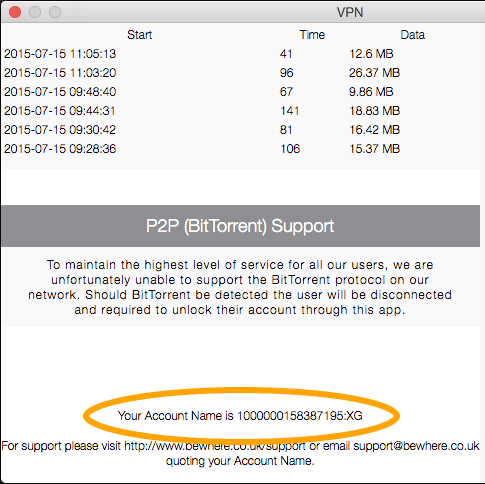 However, if you use one of our apps – Global VPN, UK / US VPN, VPN Asia, Onion VPN or Budget VPN – you don’t need a password to use your VPN and you might never have created an account with your email address. Your app can configure your subscription for you so you only need a password to share your subscription with another device. Select the type of device that you want to configure, then you’ll see configuration instructions. Some wifi and mobile networks block certain VPN protocols so if you’re having problems connecting it’s always worth trying a different wifi or mobile network if you have access to one. From time to time some networks in some countries block VPN traffic. Sometimes this prevents connections, other times it’s possible to connect but you can’t access webpages. These blocks are usually temporary, but if you are concerned that there may be a more permanent problem please email help@flowvpn.com and we’ll do our best to help. A VPN can often help to improve speeds for accessing internet content internationally, it’s always restricted ultimately by the connection between you and your service provider. At Flow VPN we closely monitor our servers to make sure that they are performing well, and we’re able to add new servers very quickly to increase capacity when it’s needed, so you can always be sure that Flow VPN will offer good performance beyond your connection to our VPN servers. If you’re experiencing very slow performance it’s likely that there’s a problem between you and the VPN server. A common problem is internet providers blocking or slowing VPN protocols, so it’s important to make sure you try all of protocols available to you – click here to find out more about VPN protocols. If you’re able to, try a different wifi or mobile network. Finally, try different VPN server locations – here’s an article about choosing the best server location for you. The vast majority of in-app purchases are processed and accounts are updated within a few seconds, but very occasionally it takes a while for the purchase confirmation to make its way from an app store to our servers. If your purchase hasn’t been applied please forward your receipt email to help@flowvpn.com along with your VPN username and we’ll update your account as soon as we can. If you’re using VPN to access a geographically sensitive service and your location doesn’t seem to be being hidden it’s possible that the service isn’t relying on your IP address to establish where you are.